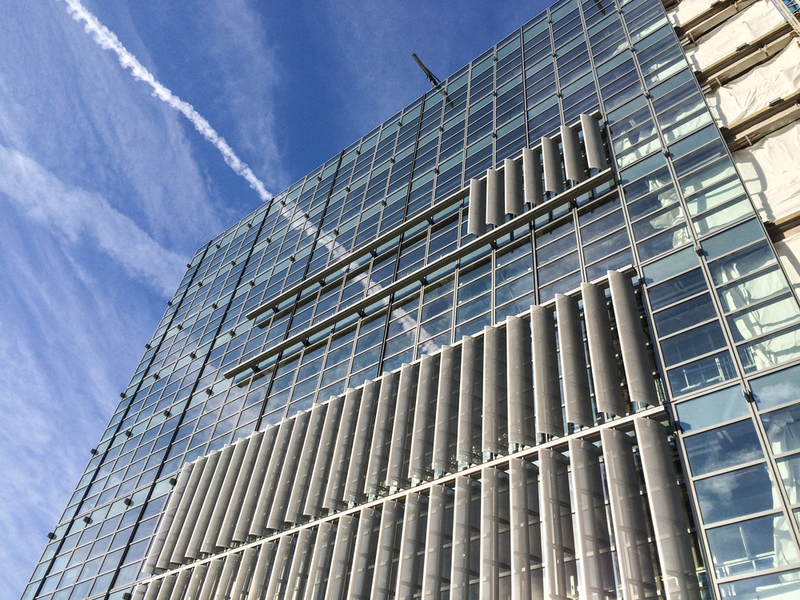 Most of the primary skin of curtain wall has been installed and the cladding of the secondary layer of perforated metal fins is underway. The fins will counteract the long horizontal structure with vertical articulation and sun mitigation for the building's western orientation adjacent to the West Side Highway. When completed, the garage will house over 150 sanitation vehicles for the NYC Department of Sanitation in a LEED Gold certified structure in NYC's Active Design program.